Blush and pink for Spring! I finally busted out my summer clothes and will be wearing nothing but flip flops and tank tops until the leaves start falling. This design may feel a little romantic because I'm getting married this month and my brain has been occupied by all things wedding related! The experience that I've been getting by doing wedding invitations has been invaluable in planning my own special day. I plan to share my own wedding designs here on the blog once I get myself back together, so keep checking back! Anyway, I'm getting off topic! 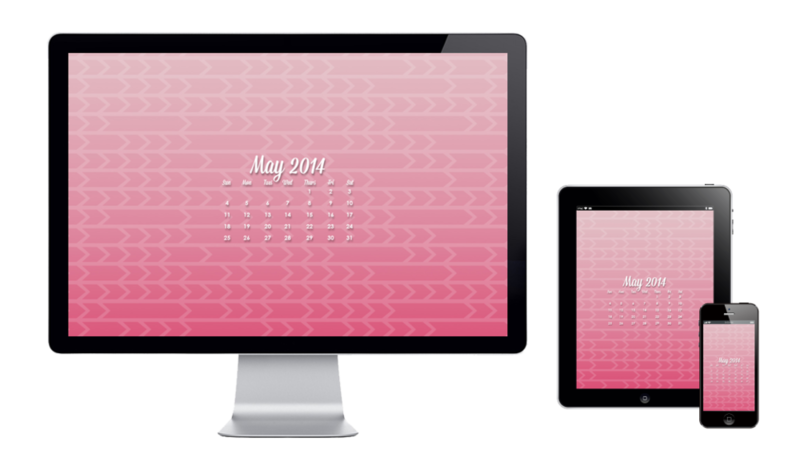 Now presenting…the new free wallpaper for May 2014! Please enjoy and share! Check out my Facebook page to see the blush cover image displayed! Download the size you need by opening the link and right clicking to save. If you are on a smart phone, open the link (photos won't save from the Facebook app, so make sure you open it in your browser app!) and save the image to your photos, then go to settings and select the photo as your wallpaper. 2560px x 1600 px, 1920px x 1080px, 1680px x 1050px, 1440px x 900px, 1280px x 800px, iPad, iPhone 5, iPhone 4s, Droid, and Facebook Cover Image.